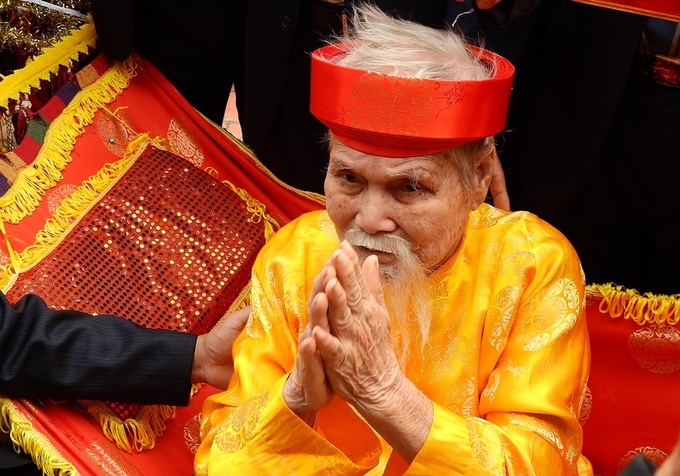 On an island in Quang Ninh Province, people carry 80-100-year-olds ceremoniously to temples as a way of worshiping ancestors. 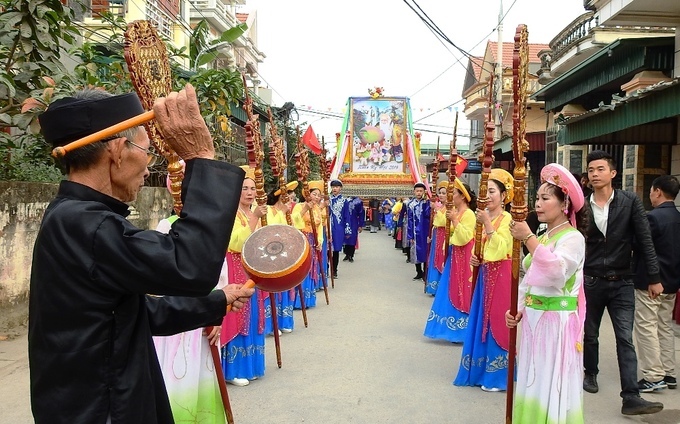 On the seventh day of the first lunar month every year, people in Quang Yen town in Quang Ninh Province, 153 km east of Hanoi, carry seniors aged 80-100 in hammocks and cyclos in a procession to the town's Tien Cong Temple for an ancestor worship ritual. 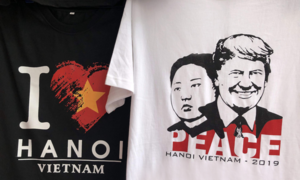 According to historical accounts, hundreds of years ago, some fishermen came and settled down in the island of Ha Nam in what is today Quang Yen town. They relied on high mounds to dry their fishing nets. 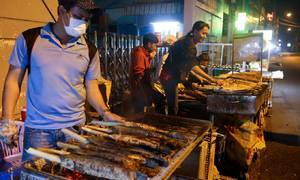 At the beginning of the 15th century six groups of people came to fish in the sea and grow rice, founding villages on Ha Nam island. Ceremoniously taking the elders to the temple is an act of gratitude to those settlers. In the early morning households with people aged above 80 organize a ritual with the entire family present. Once the procession begins, it moves very slowly. 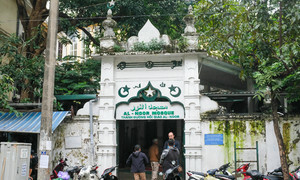 Tien Cong Temple is only 500 meters away, but it takes nearly three hours to reach it. 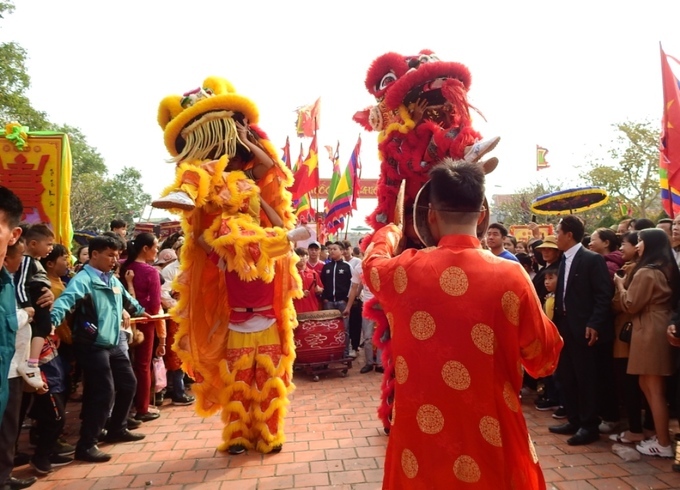 Leading the group is a lion dance team with its beautiful acrobatics. 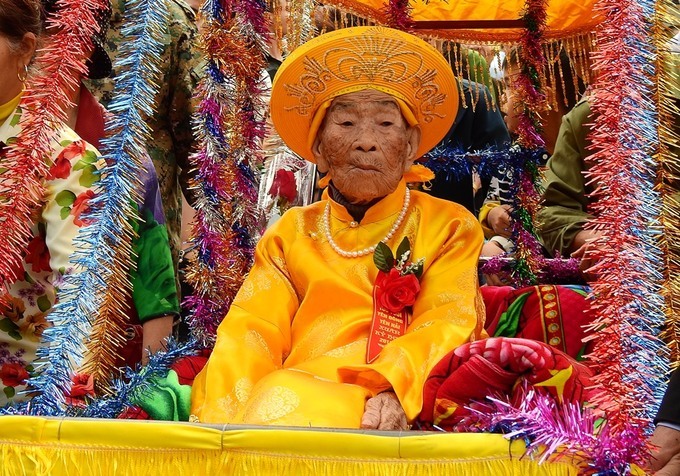 This year 235 elders came to Tien Cong Temple, four of them centenarians. 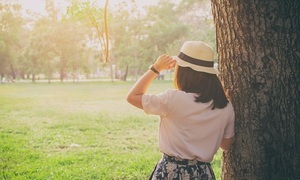 Nguyen Thi Luan of Yen Hai District is one of the four. 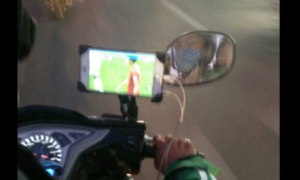 She was transported in an elaborately decorated cyclo. 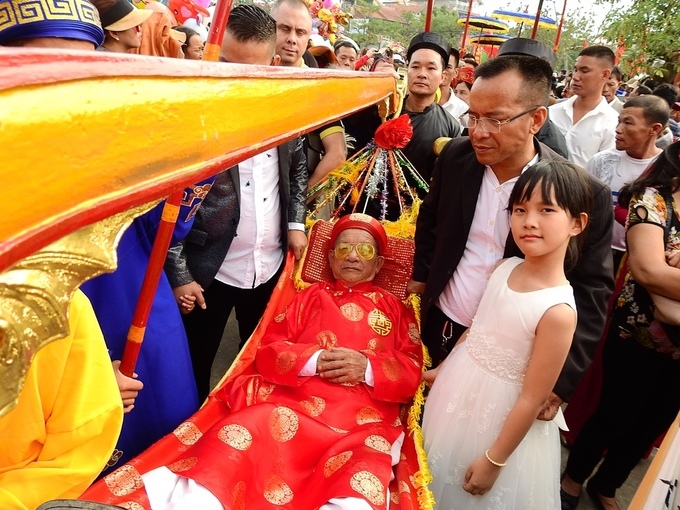 Nguyen Van Khai, 90, of Go Coc District was carried in a hammock. Because of his poor health, he couldn't stand up but sat on the hammock in front of the shrine and folded his hands to venerate the temple deities. 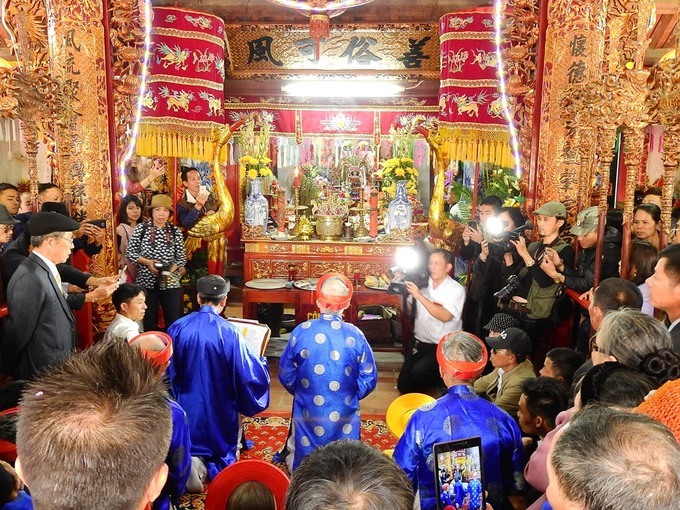 The revered elders conduct the ceremony inside the temple. 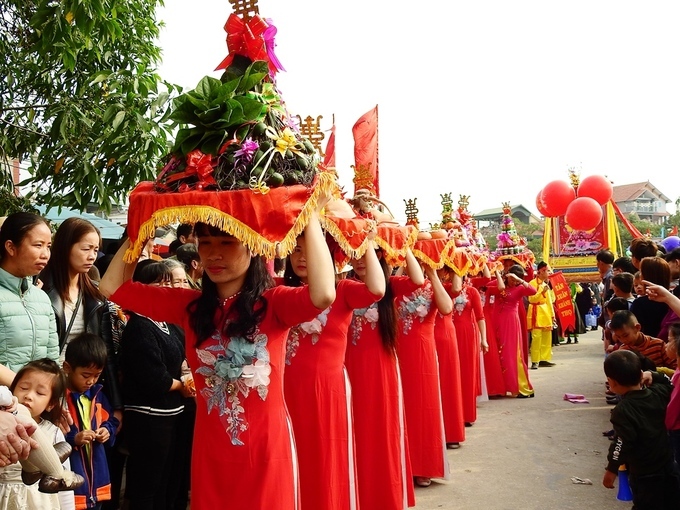 For its unique cultural and historical values, in 2017 the Ministry of Culture, Sports and Tourism recognized the Tien Cong Festival of Quang Yen town as a national intangible cultural heritage.